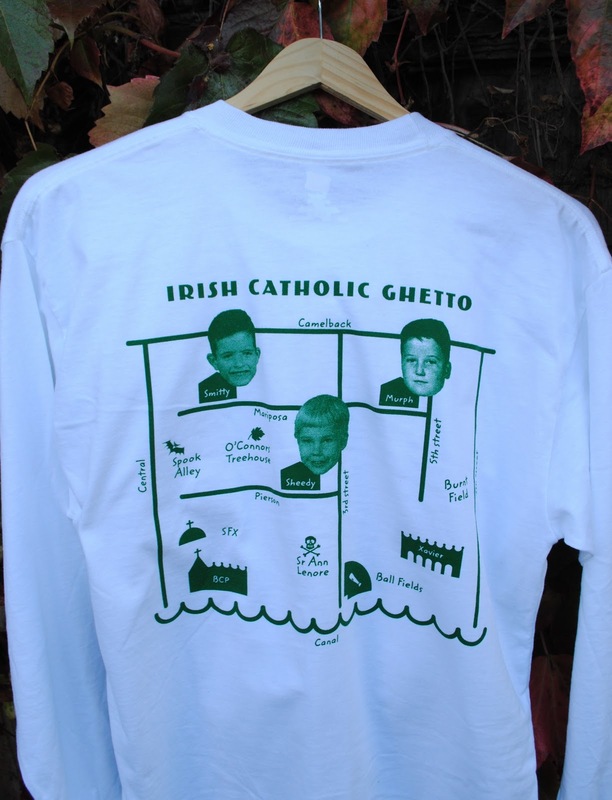 Jac o' lyn Murphy: The Big 50 Ghetto-together! try to break the news that they are not getting their invitations and favors from me. and are worried that I am going to be upset or offended! So when my brother-in-law, Jim, called a few months ago to "let me down gently"
I had to give him a hard time. and am always amazed at how talented people are. "The Catholic Ghetto" of Phoenix. Every family in their two block radius had at least 6 kids. and finding creative ways to have fun in the Arizona heat. A big bash to celebrate them and play homage to their roots was in order. and these great t-shirts to remember the night...what else do you need? and I didn't have to do a thing! Sounds like a fun group, a fun party and more great memories!